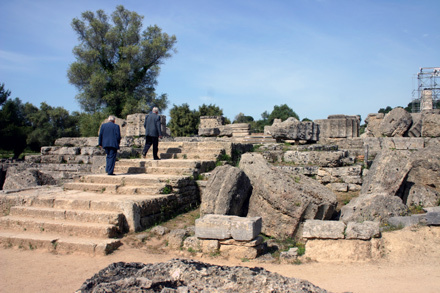 The Temple of Zeus was the focal point of worship at Olympia. The games that were held here were held in honor of Zeus. For an important introductory discussion about Olympia, and a map, Click Here.